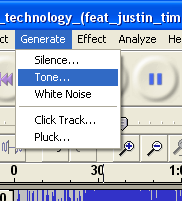 Choose Generate from the top menu and select Tone. Now describe the type of tone you’d like to create. Experiment and experience all of the different ways you can augment your favorite songs! The frequency determines the pitch of your tone. The amplitude determines how loud or soft it will be. 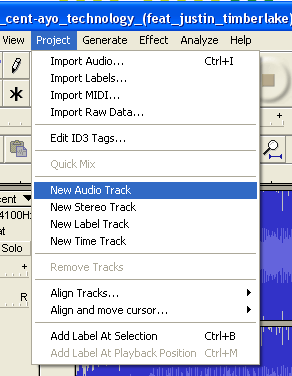 You should now see your tone drawn into the beginning of your new track. 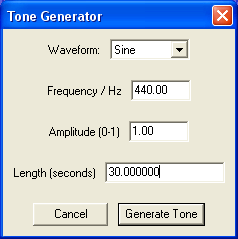 Lastly, use the Time Shift Tool to move your tone to a different part of the song. 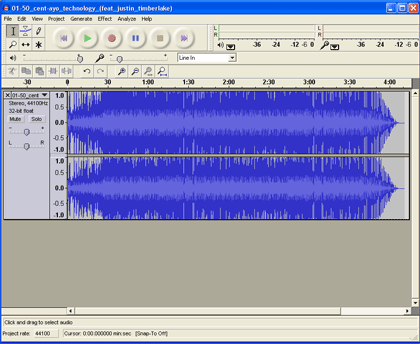 MediaDefender (beta) recommends waiting until at least 30 seconds into the track to give your remix an “Ah-hah!” quality. For added fun, repeat these steps and layer different tones on top of one another!